Just because you’ve seen one type of window covering serving Castle Rock, it does not mean you’ve seen them all. Vertical blinds, wood shutters, or roller shades can all help you manage sunlight while making your space more attractive, but they do so in their own ways. It’s a good idea to learn what you can about your options so you can tell which choice best fits your needs, rather than find out in the future that you made the wrong decision. All 3 of these window treatment options can make your space more comfortable, but some people stick to blinds. Window blinds are extremely versatile. Their slats can be oriented horizontally or vertically, and they come in different colors, styles, and variations. 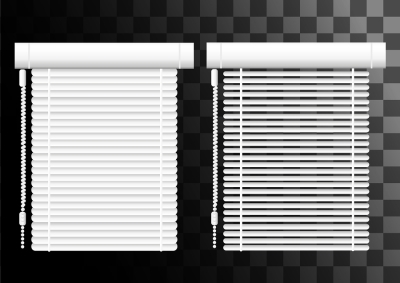 Due to these differences in options, the price of window blinds tends to vary. Certain materials can imitate others, which is a convenient way to save yourself some money while getting the look you want. Blinds are available in everything from aluminum to bamboo, so you can use them in very different designs and settings. 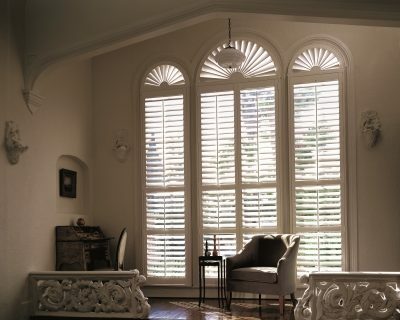 If you want a particular look and you’re willing to pay the price for it, shutters might be right for you. Like blinds, shutters are quite adaptable and come in many configurations and styles, so they can offer beautiful aesthetics in a multitude of situations. They’re also durable and help to enhance your privacy, and the right choice will even make your home more valuable. You can adjust the shutter slats as you desire, so you can control how much light comes into your home. This window treatment option is long-lasting, beautiful, and versatile enough to meet your needs. If spending more money than you have to is not in the plans, look into shades. Although they are known to be on the more affordable side, they can still look wonderful and control the lighting in your home. Not all shades are cheap, however, and you might come across upscale designer shades while browsing. With the right pattern or texture, your shades could do a great deal for your interior design.